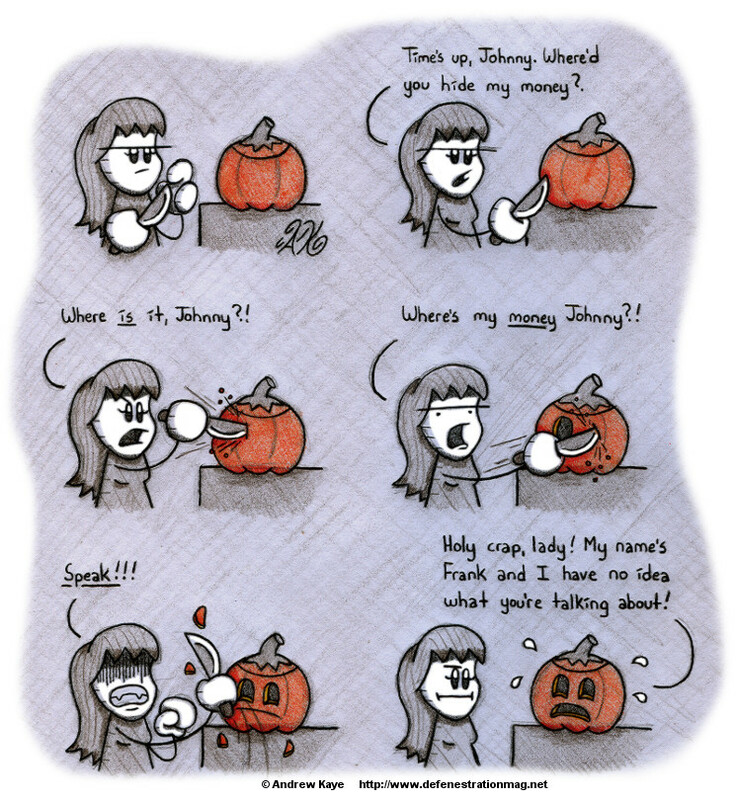 Halloween in a monthlong holiday, so I’m going to upload Halloween-themed Ben & Winslow comics throughout October. What better way to get the ball rolling than with a jack-o-lantern? Typically it’s Winslow that gets in trouble with pumpkins, but that doesn’t mean Annie’s immune.